The Lady Bird Johnson Wildflower Center announces four new national and international affiliations: Denver Botanic Gardens at Chatfield, Florida Native Plant Society, Native Plant Society of Texas, and the National Wildflower Centre in Britain. 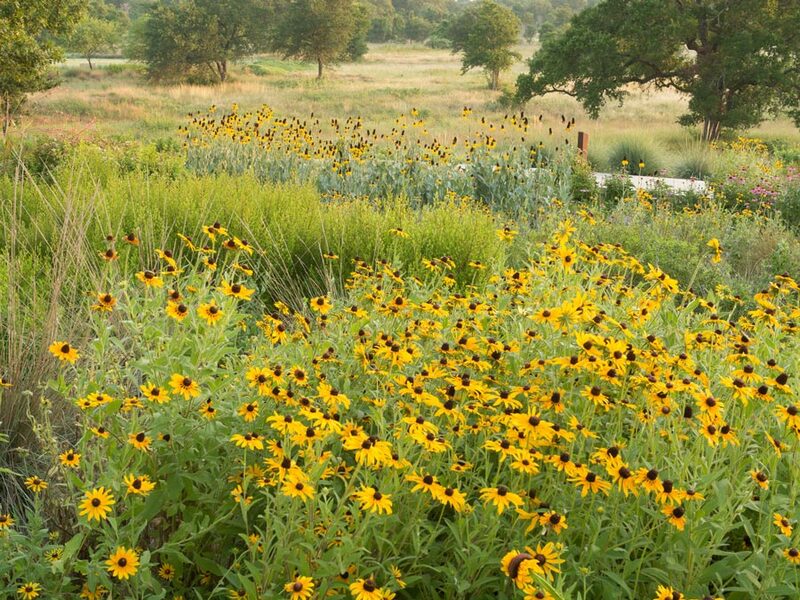 The Wildflower Center now has a total of 7 $link(nd=affiliates, affiliate organizations).The Lady Bird Johnson Wildflower Center actively encourages the preservation and use of native plants through a network of affiliates. These affiliate relationships help the Wildflower Center to broaden its mission, which is to “educate people about the environmental necessity, economic value and natural beauty of native plants.” An affiliate organization must subscribe to the Wildflower Center’s mission and may include botanic gardens and arboreta, as well as native plant societies, land conservancies, garden clubs, and other organizations that promote the conservation of native flora. and generate public support for both organizations. An extension of the Denver Botanic Garden, Chatfield is a Nature Preserve with 750 acres of native flora encompassing several ecosystems and ten acres of wetlands. The preserve also hosts a 19th Century, ranch, a farm, and a one-room schoolhouse. The Preserve offers recreation, education, volunteer opportunities, and special events. The Florida Native Plant society has over 2,900 members in 26 Chapters. Their activities include Field trips, Plant rescues, Native plant sales, Plant inventories, Demonstration gardens, Restoration projects, Highway plantings, Exotic plant removals, and Workshops on native plant identification. The Native Plant Society of Texas was founded in 1980 and currently has over 1,800 members in 32 Chapters. Chapters provide activities such as Field trips, Plant rescues, Native plant sales, Restoration projects, and Highway plantings, NPSOT publishes a newsletter for it state members and hosts two annual conferences, one of which is traditionally held at the Wildflower Center. The National Wildflower Centre is a registered charity set up by environmental charity Landlife with funding from the Millennium Commission. The Centre emphasizes creative conservation and putting wildflowers back into Britain with seasonal wildflower demonstration areas, a working garden nursery, children’s area, exhibitions, and interactive information about wildflowers.